What's the number one gift parents want for their children? Their time! Children don't stay children forever, so time spent with them today will become the memories cherished tomorrow. It is indeed a memorable treasure when families come together to learn about God's Word. 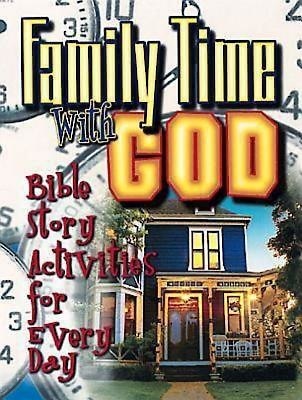 Family Time With God is an outstanding resource that offers a full year's worth of activities parents can do with their children every day to help them grow spiritually and to build strong family relationships. Each week includes: A Scripture text on which the activities for the week are based, a "talk point" that provides parents with a weekly theme to talk about with their children, a Bible story parents can read to their children, and a variety of activities for every day of the week which provide a basis for personal time spent with children!